Codies did keep up support for G2 for quite awhile and made at least an attempt to restore some of the missing features from GRID. Derby, and sort of a cockpit view. But . . . it still isn't the sequel to GRID we had been waiting for. CobraGamer's 12:03 post bears out my opinion that many GRID fans want too many contradictory features in a sequel for Codies to make one that won't disappoint big sectors of the fan base. A major factor to me is GRID's simplicity. It's Race Driver, and "It's all about the race." It's about driving, not about engineering or tuning, not about customizing. Racing games that provide all that detail are all over the place. GRID is not one of them. GRID dared to do less, by focusing on the race itself, and ended up doing more. My opinion. PCars has been my goto racer for quite a while. But in the past few weeks or so I've been back playing Grid Autosport. And I like it a lot. It's very playable compared with Pcars, fun to race, the handling is not so difficult but is still very satisfying. The thing I can't understand is why Grid Autosport was not a success. Maybe it was the fact it was not on the latest gen. Maybe it was the fact grid 2 annoyed people too much. Or maybe it was because it didn't offer enough over grid 1/2, or the bugs. But to me its a great game, and Codies have the ability to come up with something that has a market niche and makes good money. I think they need to zig where pcars and asseto corsa zags. As you say, focus on making the racing more fun rather than screen fulls of sim setups. iii)Pitstops or at least ability to repair damage. iv)Different surfaces. Maybe snow and dirt tracks. vi)More multiplayer game modes. Maybe relays etc. Sacrifice a bit of the realism for more fun and variety in the racing modes. Still playing the GRID2 campaign, not a big fan of GRID Autosport due to drifty simcade handling like NFS Shift games. Weird. Most people find the handling of those two games to be the exact opposite... GRID 2 is almost unplayably arcade-drifty for me. Fully agree. I thought GAS was a huge step back in the right direction after GRiD 2 (which I didn't like at all). Were it not for the omission of Circuit de la Sarthe (and the 24 hour races), GAS would be my clear pick of the series. It was a bit rough around the edges, but the choice of disciplines - especially within the Touring Car class - was fantastic. With no Le Mans in GAS though, I find it hard to pick a fave between GRiD 1 and GAS! If I was designing a new GRiD game it would contain the variety of GAS, but with a lot more polish applied. Le Mans definitely needs to come back (and thus pits stops would need to be included) and, in the same way DiRT Rally has done it, as many genuine race cars (i.e. liveries) included as possible. It would be nice to have nonblurry integer-ratio scaling built into the game, so that the game could be played at 1920×1080 resolution on 4K monitor without any bilinear-interpolation blur, and each image pixel has been correctly displayed as a group of 2×2 identical physical pixels. For better understanding what integer-ratio scaling should look like, see the web-based DEMO. I didn't really care for GRID Autosport. I love Grid 2 though... any chance of the more arcady style coming back? Still without the promised DLC that the consoles got but never showed up for PC. I don't want to choose. I want both sequels: GRID3 (arcade) and GRID Autosport 2 (sim). Moved on as I got no more faith in Codies to produce a fully functional game. Horizon 3, 350 cars open world, Apex 60+ cars for free, GAS had 108 total and 35 in the garage... Sad as it had SUCH potential but some exec decided to abandon the customers yet again. Still playing GRID here. Finally got my "new" 2013 DIY gaming PC running and online, and GRID handling is noticeably improved. I thought it was great before, so for me this means even more fun for even longer. I may have to bump up to Extreme difficulty though. The handling now seems smoother, more precise and predictable - the car goes where I'm trying to get it more often. And the graphics are all pegged at High. i5-4670K (quad, 3.5MHz, stock), GTX 660 (2GB), 8GB RAM, 512GB SSD, 650W PSU, single 24" display at 1080p, keyboard. Nothing unusual, but a few notches above what I've been using for the past several years. 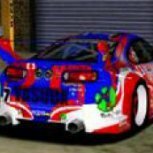 And a reminder for other racers in fringe areas - GRID installs from the disc and starts right up with no requirement to be online at any point (for single playes only, of course). My disc is showing significant wear (original, from 2008), so I may have to start using a backup before this time next year. Oh well. Should be good until 2026, eh? I'm considering adding a second optical drive so I won't have to swap out discs so often. Sure would like to see another Club car or two out there. I still love the TVR Tuscan Challenge, but it does look lonesome some times. I just want it to happen. Soon. I bought Project Cars hoping for something good, it is, but I get tired of it real quick, I just miss the GRID engine. So I had to get Dirt Rally, which made me very happy, I'm really enjoying it, the game is superb, but sometimes I feel like I need the online competitive races and more asphalt. Obviously the nature of this game is not that. I have over 12.000 (twelve thousand) hours on MULTIPLAYER of the Racedriver GRID (GRID 1)(addding the time played in all my Gamertags on the XBOX Live). I've never stopped playing his MULTIPLAYER since its launch, and I keep playing until today (XBOX 360). 2 - You can create your own type of game and rules ("Survivor races" are very fun). Two teams of 6 players, worth everything to prevent the other win the race, to go against the tide, making barricades, etc. And you do not have to play the boring Demolition Derby for that, you can choose any category with high speeds. 3 - Persistence of crashed cars, car parts, etc., on the track. Not sure that's a great comparison: DiRT Showdown wasn't that popular with fans of the series! Sure there are different opinions on the matter, but to me Autosport was the game that GRiD 2 should have been (though with more polish applied). Despite its flaws, I thought Autosport was a great game. I really hope that a sequel follows those lines and not the arcade nature of GRiD 2. That final battle with Ravenswest was intense, still gives me nightmares/chills. I used to like this on PC and would probably still be playing if it wasnt shutdown for PC users, the crash physics really made for some spectacular collisions . I really need to say sth. i'm waiting for next TOCA and new GRID. And you know what? I' m thinking I've found optimal option. Two driving modes. First would be arcade with drive model from Race Driver: GRID and second would use more accurate physics from ToCA Race Driver 3. If codemasters done their nest racing game like that, it wil be best racing game ever made. Off course we need many cars and tracks, because new codes' games looks kinda poor... :( But anyway, release new Toca or GRID, shut up and take my money! I'd like Grid 4 to feel more like the first one, which really was an arcade racer, but a lot more realistic than Grid 2. Autosport is a good game, but the progression system is very bad IMO. If you could create your own team and buy your cars, it would feel a lot better. I also think championships should be a lot shorter, but more varied, without those special cup races. V8 Supercars, old Le Mans prototypes, old street cars, they should have their own championships instead of behing shoved in seasons like they were in Autosport. I'm just hoping for a rock solid sports car racing game, I hope it's a sim with day night transitions full weather systems tracks that rubber in/puddle change with temp, there is a gap in the market for a racing sim to be made correctly. AC has missing features Pcars drives badly, Rfactor2 is plain out of date, Raceroom has no weather and is really expensive. imagine the series they could add with licences, Super GT, DTM, BTCC, GT1, GT2, GT3 and a bundle of classic tin top 90's BTCC for example. man o' man i would rub a layer of skin off! (plenty of DLC for the coffers) all really alluring sports car championships. if they managed this i would be in my element, that's not to say they couldn't have a simplified handling model for people who prefer it, but there is a huge market for simulators these days and every one we have has major issues and is there for the taking. This is what I said in a previous post. If they do make another GRID game for Next-Gen they should bring back the cool art and garage style from GRID 2. GRID 2 felt so real in a sense that I was actually a star racer forming a new series. Having a scroll down Instagram today and seeing Olli Webb doing something with BAC (Mono) and Codemasters. Also asking who's into the Grid games. Would link it but on phone. We want new Grid game supporting dx12 and 2 handling modes "simulator and gamer" like Dirt 4 .. Or to be the same as Grid 1.. In my opinion - Grid 1 was good but the rest were crap. If they could bring back the original Race Driver series with all the real championships, that'll be an amazing game. They had DTM, TOCA, V8 Supercars, and I think WEC. And you progressed up starting from Formula Ford. They were amazing games on the PS2. Maybe they can have GP3 and GP2 in that one. Originally Grid 1 wasn't even on Steam, (steamcharts for Grid 1 only goes back as far as July 2012) but during the Xmas sales of 2016 "online" player numbers hit 4253 (on Steam), for a game from 2008 that aint bad.